The Canadian military has reversed what had become a worrying trend by reporting a small increase in the number of people in uniform last year — though it still has a long way to go to fill all the holes in its ranks. The Canadian military has reversed what had become a worrying trend by posting a small increase in the number of people in uniform last year — though it still has a long way to go to fill all the holes in its ranks. New figures show that there were about 450 more military personnel at the end of March 2017 than the previous year, with about half being regular-force members and the other half reservists. That represents the first real growth in the number of people in uniform in several years, as increased attrition and recruiting challenges exacerbated by Conservative-era budget cuts steadily thinned the ranks. Yet officials are unlikely to celebrate, as the military is still short about 2,000 regular-force members and 5,300 reservists even before the Trudeau government's promise to grow both forces in the coming years. The Liberals plan to increase the regular force to 70,500 members from its authorized strength of 68,000 and the reserves to 28,500 from 27,000 to defend against growing global instability and emerging threats such as cyber. Federal auditor general Michael Ferguson flagged the personnel shortage as a real threat to the Forces in November 2016, warning that it put a heavier burden on those in uniform and hurt military operations. In real terms, that meant not having enough staff to fly or maintain the air force's Chinook transport helicopters or its Hercules transport planes. Senior commanders have said streamlining the recruitment system and addressing attrition are their top priorities, but at the current pace, it could be many years before the military has enough people in uniform. In a recent interview with The Canadian Press, Gen. Jonathan Vance, chief of defence staff, blamed past cuts to the ranks followed by large recruiting drives that produced a wave of members now leaving at the same time. "It's like a python swallowing a meal," he said. "It's a bulge that goes through the system. So it feels good while it's happening, but behind that bulge you end up having a lot of attrition through the gateway years." The military has launched several initiatives to speed up the recruitment process, which Vance said are starting to bear fruit and will be expanded in the coming months. 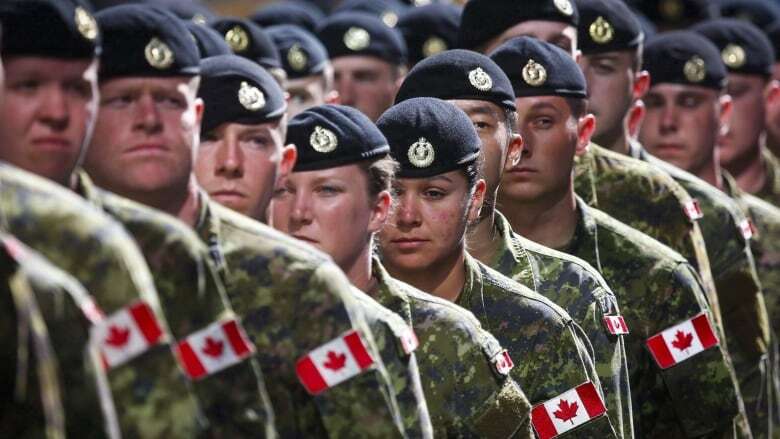 The Forces have also been working to become more attractive to women, visible minorities, members of the LGBTQ community and other segments of society that have been historically under-represented in the ranks. "So what we're trying to do is normalize the system and make it better overall. There's no question about it: We're growing. And it's going to start slow and it's going to pick up," Vance said. But, he added, "it's not just getting people through the door, it's getting the right people through the door. Where I would say we need to continue to improve is attracting qualified people, particularly youth."